Type your ABCO tracking number below, get live delivery information with our express tracking system. Abco was launched in April 2014 with the objective of setting up a world class Neutral NVOCC business primarily involved in LCL Consolidation And provide ancillary services like freight forwarding, Buyers consolidation programs, Transportation and project management that complements its core business. With forays in LCL consolidation and inland transportation, the company is already in the process of enhancing its service portfolio to achieve better reach across a spectrum of customers. If you have problem with our express tracking system, please track your package directly on the ABCO website. 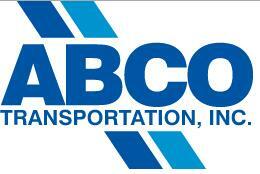 If you get no tracking information from ABCO Transportation official website, you’d better contact them. If you have problem with our ABCO Tracking system, submit your problem here, we will help you as soon as possible. Declare: We can NOT contact carrier or others on your behalf, we can only help you track your package with your ABCO tracking number on official tracking system.